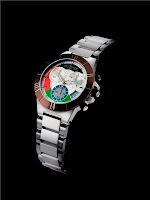 SAINT HONORE, the world renowned “Paris-style” watch-maker since 1885, has launched the UAE Limited Edition Worldcode watch in honour of the upcoming 39th anniversary of UAE National Day on December 2nd, 2010. 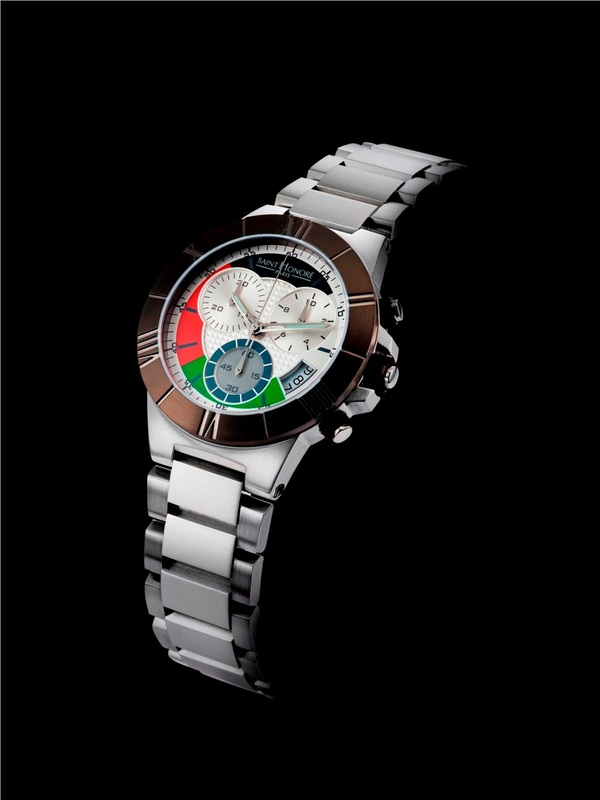 The UAE Worldcode in elegant PVD titanium finish has a special dial in the colours of the UAE National flag. The back of the watch is engraved with the UAE map and the limited edition number. Only 39 pieces of the watch will be produced to coincide with the UAE’s 39th anniversary. The watch designer’s brief was straightforward - to create a most elegant steel chronograph. The full force of SAINT HONORE savoir-faire rose to this challenge and the result has met every expectation. The sophisticated design honours the traditional codes of great timepieces with particular attention given to the bezel and the strap. The watch, introduced on November 15, is exclusively available in Paris Gallery for AED 4,439. The product is contained in a special box with a black finish. For over a century, SAINT HONORE has been synonymous with the world-famous “Paris Style”, and has created collections of unrivalled design. From Paris to New York, and Tokyo to Dubai, the brand’s exceptional watchmaking expertise exerts an irresistible attraction on those who love contemporary pieces. With “Swiss made” quality, a unique spirit, high-status materials and bold finishes, SAINT HONORE offers watches, jewellery and accessories that reflect and interpret today’s desires. These beautifully-crafted pieces combine the timeless elegance of the French capital with the luxury of its most beautiful landmarks. • The Tourbillon 1885 range that sets the brand firmly amongst the cream of watchmakers.